The total amount of subsidy transferred through Aadhaar now equals Rs. 1,69,868 crore, said Jaitley. 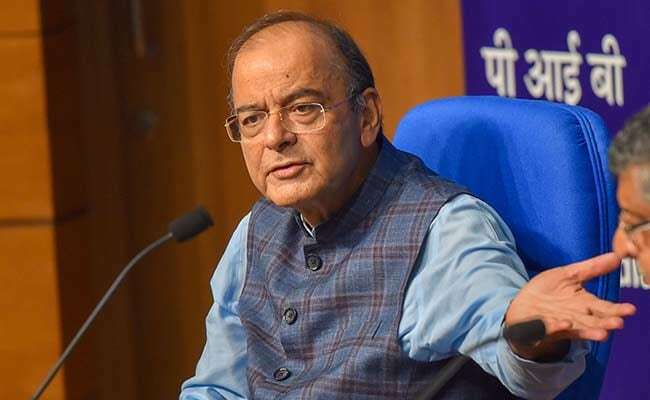 Terming Aadhaar as a “game changer”, Finance Minister Arun Jaitley on Sunday said savings made through its implementation can fund three public welfare schemes of the magnitude of Ayushman Bharat — the ambitious healthcare programme to provide free hospitalisation to millions of poor people. He also attributed the successful implementation of Aadhaar to the decisive leadership of Prime Minister Narendra Modi, saying the Congress-led UPA remained “half-hearted” towards it because of its own contradictions and indecision. In a Facebook post titled ‘Benefits of the Aadhaar – where it stands today’, Jaitley said its use in the delivery of subsidies has helped saved Rs. 90,000 crore in the last few years till March 2018 by eliminating several duplicate, non-existent and fake beneficiaries. The Digital Dividend Report prepared by the World Bank estimates that India can save Rs. 77,000 crore every year by the use of Aadhaar, he said. “The savings through Aadhaar can fund three schemes of the size of Ayushman Bharat…Aadhaar is a game changer,” Jaitley said. Ayushman Bharat – Pradhan Mantri Jan Aarogya Yojana aims to provide a coverage of Rs. 5 lakh per family annually, benefiting more than 10.74 crore poor families for secondary and tertiary care hospitalisation through a network of empanelled healthcare providers. Since its launch in September, nearly 7 lakh poor patients have been provided free hospital treatment. Jaitley said the UPA, because of its contradictions and indecision, remained half-hearted about Aadhaar. The total amount of subsidy transferred through Aadhaar now equals Rs. 1,69,868 crore. “With the elimination of middlemen the benefits go directly to the bank accounts. This is a unique technology implemented only in India. The monies saved through Aadhaar is money fruitfully employed for the poor elsewhere,” Jaitley said. Since The Aadhaar (Targeted Delivery of Financial and other Subsidies, Benefits and Services) Bill was passed in 2016, in the last 28 months over 122 crore Aadhaar numbers have been issued. About 99 per cent of the adult population of India above the age of 18 stands covered. He said 22.80 crore PAHAL and Ujjwala beneficiaries are given cooking gas subsidies through direct benefit transfer (DBT) in their Aadhaar-linked bank accounts. Jaitley said 58.24 crore ration card holders stand linked and 10.33 crore MGNREGA card holders get wage payment through DBT in their bank accounts. So do the 1.93 crore beneficiaries of the national social assistance programme. The Income Tax Department has already linked 21 crore PAN card holders with their Aadhaar numbers. A total of 2,579 crore authentications have been undertaken till date. Everyday, 2.7 crore authentications are done. UIDAI has the capacity of 10 crore transactions to be authenticated per day. In most schemes, the direct benefit transfer takes place to the beneficiaries’ 63.52 crore bank accounts that had been linked with the unique identity as on December 15, 2018. The total number of subsidy transactions through Aadhaar are almost about 425 crore. Jaitley said a senior minister in the UPA government blocked the idea of Unique Identity Number (UID) conceived by Nandan Nilekani and it was a “divided house”. “The Prime Minister was indecisive. The enrolment continued, though at a very moderate pace,” he said. It was only a decisive Prime Minister Narendra Modi who decided to go ahead with the idea of Aadhaar after the formation of the NDA government in May 2014, he added. The UPA legislation, Jaitley said, was inadequate as it did not contain adequate safeguards on privacy and did not mention for which purpose the UID would be used. “The NDA Government re-examined the issue and the legislation was completely changed. The pith and substance of the new law was that Government spends a large part of the public resources in subsidising the poor. This subsidy became an indefinite amount which is given to an unidentified section of the people. “There are several cases of duplication and thus the unique identity based on biometrics would eliminate these aberrations and relief would travel only to the intended. This was the thrust of the new law,” he said. Jaitley said the Supreme Court upheld the whole concept of unique identity and rejected the challenge that it violated the Right to Privacy. “It held that Aadhaar meets the concept of constitutional trust, limited government and good governance and empowers marginalised section of society. It also introduced several safeguards to ensure that it is not misused. The Judgement of the Supreme Court added balance to the concept of Aadhaar,” Jaitley said. Two individuals deserve a special credit for Aadhaar, the minister said. “Shri Nandan Nilekani, who started it and Dr Ajay Bhushan Pandey, who subsequently provided it with the direction and expansion. He masterminded the Government strategy to repel the legal challenge,” Jaitley added.